Yard Signs for Realtors, Political Campaigns, and more! If you’re in need of affordable, yet durable and UV resistant signage, look no further than Global Printing! 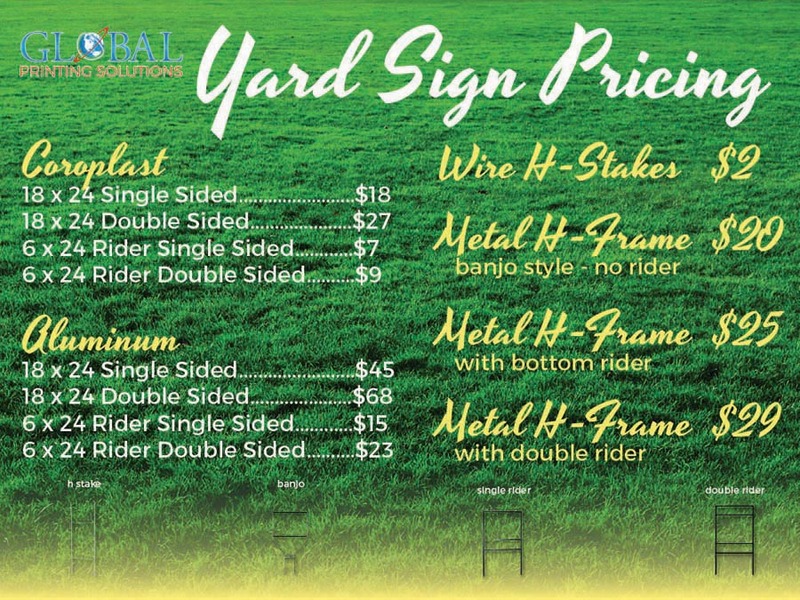 We’ve compiled our most popular yard sign products in to this handy dandy graphic for your convenience. Don’t forget to ask us about large quantity discounts! Gorgeous Test Prints on Velvet!